Marie Curie (born Maria Salomea Skłodowska) was a Polish-French physicist famous for her work in the field of radioactivity. She was a bright and eager student, and especially enjoyed learning mathematics and physics. As she could not attend the University of Warsaw (it only admitted men), she took classes at an underground university that admitted women. Both Curie and her elder sister Broyna wanted to go to university abroad, but did not have the means to do so. Curie worked to support her sister’s education while she herself worked as a governess and tutor to make ends meet. Her sister would come to Curie’s aid after she finished her own education. Curie worked for five years, saving every penny and studying in her spare time. In 1891, she was able to move to Paris and complete her degree from the University of Paris. She had to survive on very little money and her health began to suffer due to overwork and poor nourishment. Curie received her Master’s in Physics in 1893, and another degree in mathematics in 1894. She was introduced to her future husband Pierre Curie through a colleague. They were married in July 1895, and initially worked on separate research projects. Pierre later joined hands with Curie who was furthering the research of French scientist Henri Becquerel. Becquerel’s field of study was the rays cast off by the element uranium. Curie and Pierre conducted further research on the atomic structure of uranium. Their work led to the creation of the field of atomic physics and radioactivity. 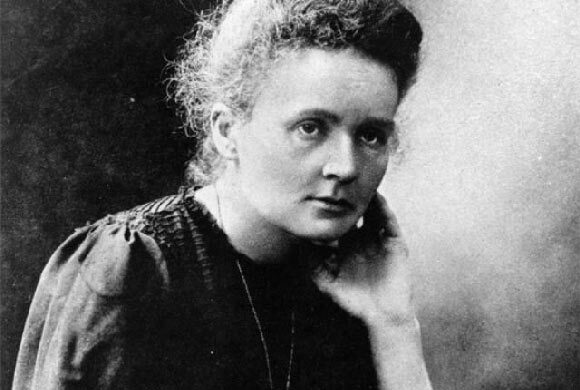 In fact, the term radioactivity was coined by Marie Curie herself. The Curies had a daughter in 1897, whom they named Irene. This did not impact the pace of their work and in 1898, they discovered a new radioactive element. They decided to dedicate this to Curie’s homeland, and the element was consequently named Polonium. They also discovered the presence of another radioactive element, which they named radium. In 1903, their efforts culminated in the receipt of a Nobel Prize in Physics, which they shared with Henri Becquerel. Curie became the first woman to have won a Nobel Prize. By now the couple’s reputation as pioneering scientists had spread worldwide, and they used the prize money and grants to continue their research. They had another child in 1904, a daughter whom they named Eve. In 1906, however, Pierre was killed in a tragic accident which left Marie inconsolable. She decided to take over her husband’s teaching position at the University of Paris, becoming the institute’s first female professor. In 1911, Curie was awarded another Nobel Prize, this time in the field of Chemistry for her discovery of radium and polonium and the isolation of radium. This gave her the undisputed honor of being the only woman to win the Nobel Prize twice and the only person to have won it in separate fields. In her acceptance speech, she credited her husband with being equally deserving of the award. She attended the first Solvay Congress in Physics along with other famous minds such as Albert Einstein and Max Planck. Around this time, she received some negative criticism when her relationship with a former student of her husband’s was brought to light. Marie Curie developed mobile X-ray units for use in the battlefields during World War I. She also contributed to sterilization of infected wounds using a technique involving radium. She used her own supply of radium for this and it is estimated that more than a million soldiers were treated using her methods. Curie was fond of her homeland and visited it with her daughters as often as she could. She also taught her daughters in Polish. Her last visit was in the year of her death, i.e. 1934. Before her death, she published a biography of her late husband titled “Pierre Curie“. Another book titled “Radioactivity” was published after her death. Curie died due to anemia, brought on by prolonged exposure to radiation. Her numerous awards and honors include several medals, honorary degrees and doctorates, being the namesake of three radioactive elements discovered after her death and several books being written about her. She set up two institutes for research, one in Poland and the other in France. She was a humble, modest and unassuming person, neither interested in money nor fame. Her daughter Irene was also a Nobel Laureate and was awarded the Prize with her husband in 1935 for their discovery of artificial radioactivity.